9.8L, turbo / intercooled, SiTEC275hp, 8 spd manual. 24,000kg GVM. 131,000 klms. 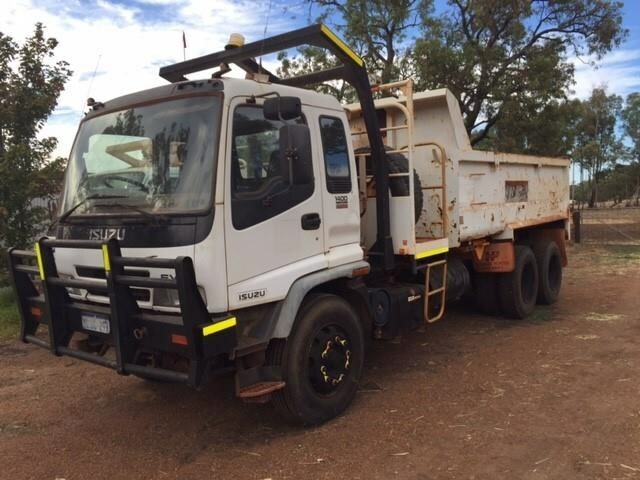 This vehicle is fitted with a NEW Midcoast Trucks steel tipper body (Internally approx 5.7m Long) with drop-sides, twin under-body hoists utilising the existing PTO & pump, and an air-release 2-way swing tailgate. 275hp, 13 spd RR, New clutch, new batteries, 298000kms, good condition, super reliable, ready for work. Suit water cart or tipper body.